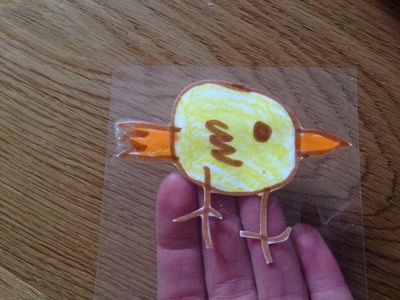 Here's a quick and easy laminated cake topper made from a child's drawing. 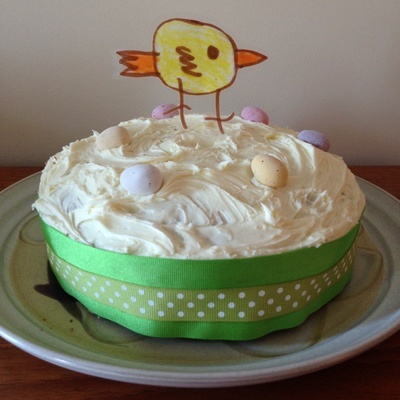 We made an Easter chick for an Easter cake - however you could adapt for any occasion. 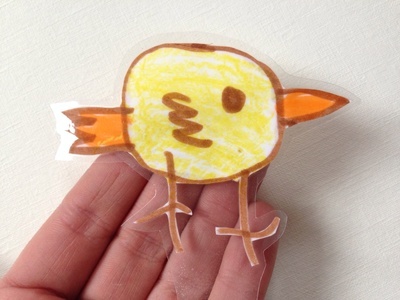 Make a drawing on a piece of paper. 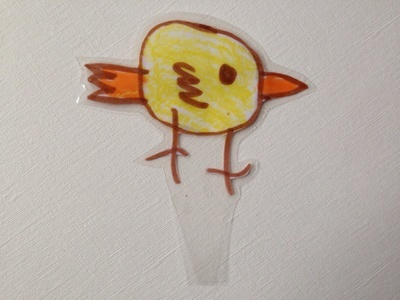 We wanted our cake topper to look good from both sides so drew in dark pen and then traced through on the other side too and coloured both sides. 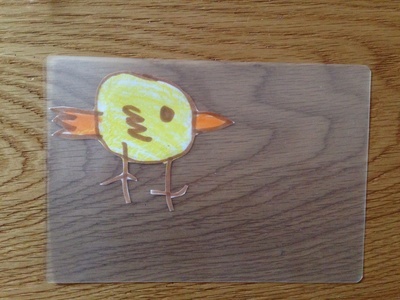 Cut out the drawing and put into a laminating pouch, ensuring there is some unused plastic under the drawing to make the spike that will go into the cake. Cut around the drawing leaving a small border and cutting out a wedge at the bottom. This will make the spike that goes into the cake. 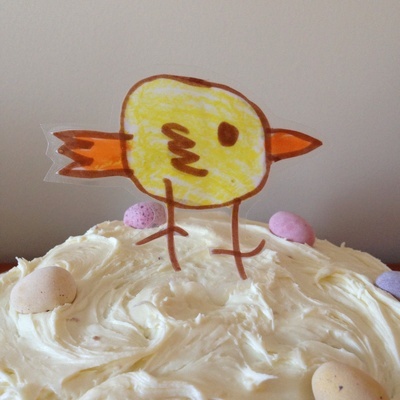 Stick the wedge into a cake to decorate with your child's drawing cake topper. How much money does the tooth fairy bring?